This is what happens when you hire the wrong contractor...Installed by another company, a few short months of installation this patio cover came crashing down. Atlas Awning was called to rebuild the patio cover. We will not build you a piece of junk, imitation Alumawood patio cover. Atlas Awning uses STEEL C-BEAMS. We will not under-build your patio! 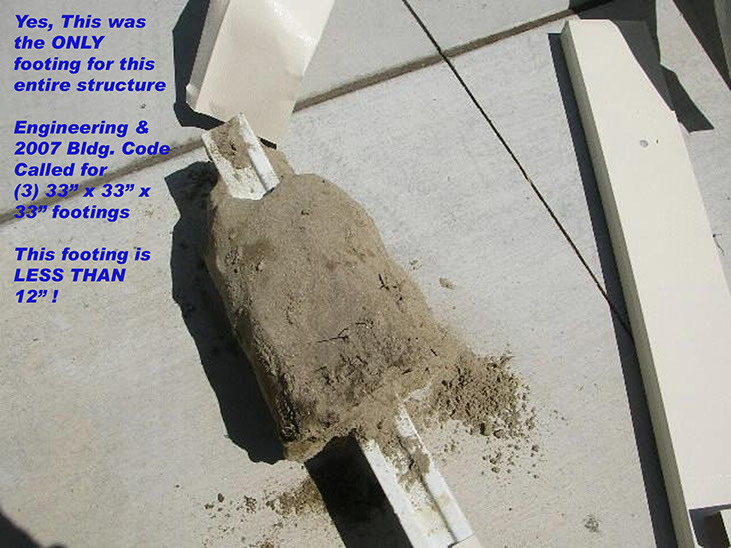 The building code calls for (3) footings that are 33" cubes. In this photo the footing is only 12 INCHES and it is the only one! We go the extra mile and install the required footings to the code standard or better. Here the new footing is installed, up to code and secure. Atlas Awning will never cut corners you will get only the highest quality and best workmanship for your home. We will not build you a piece of junk, imitation Alumawood patio cover. We use only Genuine Alumawood™ by Amerimax . Enjoy an award winning, name brand patio cover. We stand behind installations 100%. Quality Workmanship - What Does Your Contractor Offer You? YES - In business since 1972, Atlas Awning has always been a licensed contractor. YES - All our employees are fully covered by Workman's Comp Insurance. To ease your mind - we take responsibility, not the homeowner. 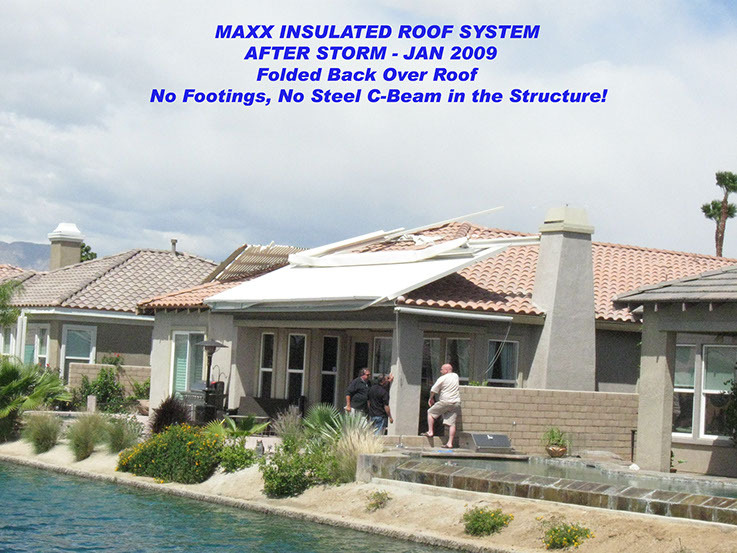 YES -Our umbrella policy is for $1,000,000 for worry-free installations! Not at Atlas! Our installers are employed by Atlas Awning, ensuring that you receive the quality of workmanship, which has been our trademark for over thirty years. We accept Visa, MasterCard, and Discover. Many customers use their cards for reward points. Concerned about a lawsuit from unpaid contracted laborers? 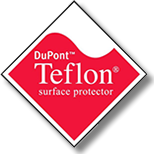 We offer a Release of Labor and Materials form even though we use our own employees. At Atlas Awning, all of our vehicles and our employee's vehicles are insured for $1,000,000 in liability. 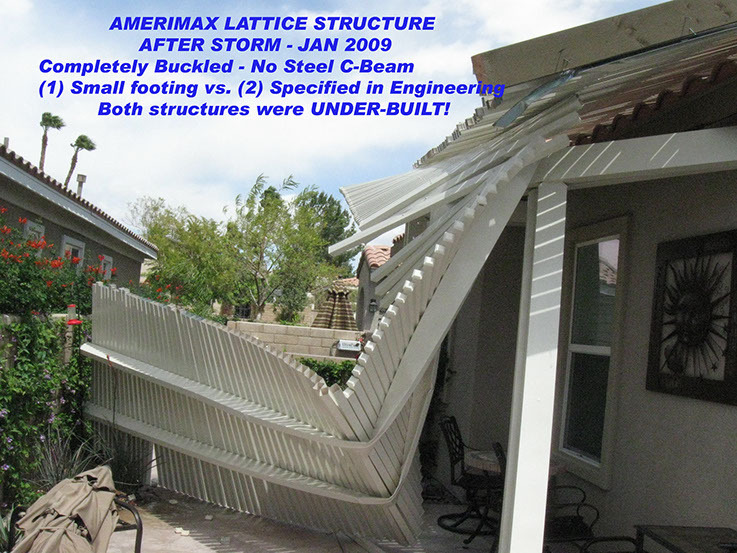 For over thirty years, Atlas Awning has provided quality workmanship unsurpassed by any awning company in the desert. We pride ourselves not only on a job well done, but we leave each and every customer glad they chose Atlas as their contractor. Just ask any one of our thousands of customers!